Heather Ballantyne loved to visit friends, says her father, William Ballantyne, of Saskatchewan’s Pelican Narrows Cree community. She enjoyed fishing, hiking and attending family gatherings. He doesn’t deny his daughter struggled with alcohol — but he says for someone to kill her is unfathomable. Heather was allegedly strangled by her nephew, John Bob Glen Custer, 19, of Pelican Narrows. 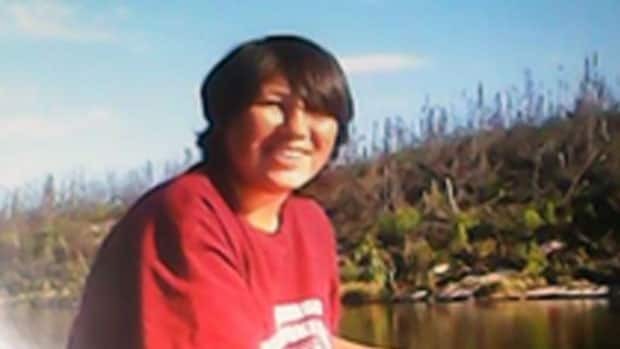 Her body was found on a popular walking trail in the First Nation community on Oct. 29, 2013. Custer was charged with second-degree murder for Heather’s death but three weeks after his arrest, on Nov. 24, 2013, he was found dead in his prison cell. According to Ballantyne, Custer died by suicide. According to media reports, the province’s chief coroner said there were no indications of foul play. Ballantyne told the CBC he is not happy with the police investigation into his daughter's death. He says the family was never told exactly what happened to Heather, and the police only said they found her body and took Custer into custody. Ballantyne says he believes there were possibly two others involved in Heather’s death, but the police did not look into it. While speaking to the CBC, Ballantyne said he is in favour of the possibility of a federal inquiry into Canada’s missing and murdered indigenous girls and women.